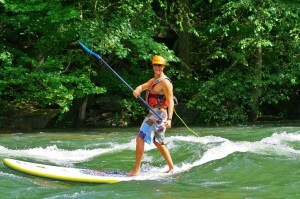 Here are some pics of the Cascade crew keeping the STOKE on the Ocoee. Sweet Cheeks is a prime spot for SUP. This wave is in at all river levels, from 900 to 3000 cfs.